Vijay still in Arjun Reddy hang over ? 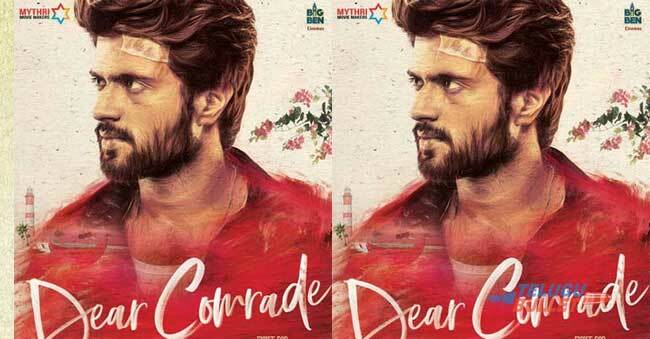 The Youth Icon Vijay Devarakonda is coming up with Dear Comrade this Summer. The teaser which got released the other day had already sunk into the fans. But the so called film buffs point out at VD’s characterization in particular. The teaser showcased VD in yet another intense student leader who is completely indulged in college politics and fist fights. This rebel attitude is followed by a romantic smooch and the pair of geetha govindam appeared full hot yet again. If we watch the teaser twice, one gets a feel that the makers are indeed continuing the trend of Arjun Reddy and more or less Vijay carried out his swag same like in his cult flick. It is nice to take inspiration from a blockbuster but then the hero might give monotony to his fans and movie lovers. Analysts are opining that the story better be different to that of Arjun Reddy or else the flick may backfire. This flick is directed by Bharath kamma and bankrolled by Mythri Movie Makers. Rashmika Mandanna is the female lead and makers are releasing this flick on 21st of May in all the four South Indian languages.